and a lot of other parts by Bill Doherty. 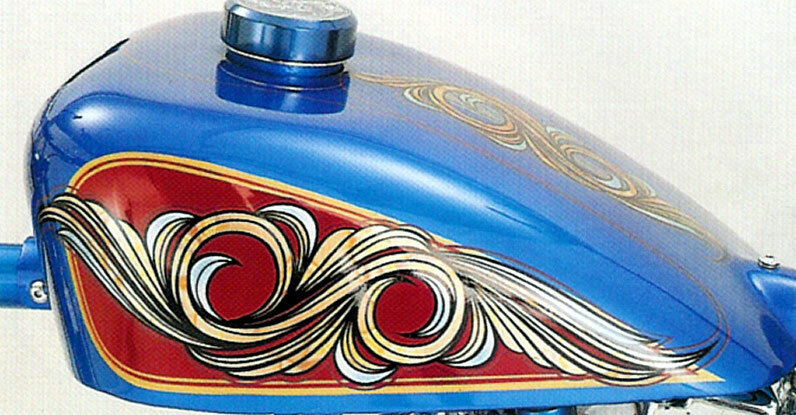 Paint and some assembly was done by Dave Perewitz (Cycle Fab) of Brockton. Massachusetts.USA. 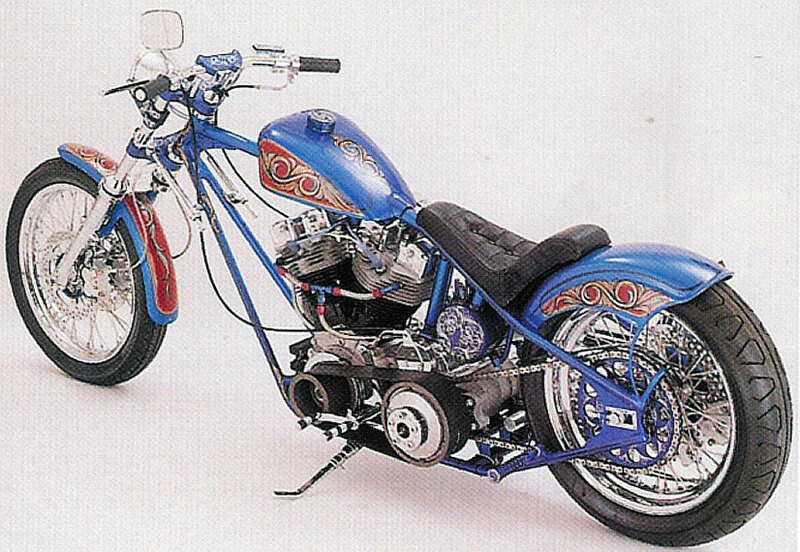 Bike won 4th place at Rats Hole Show in Daytona 1989. 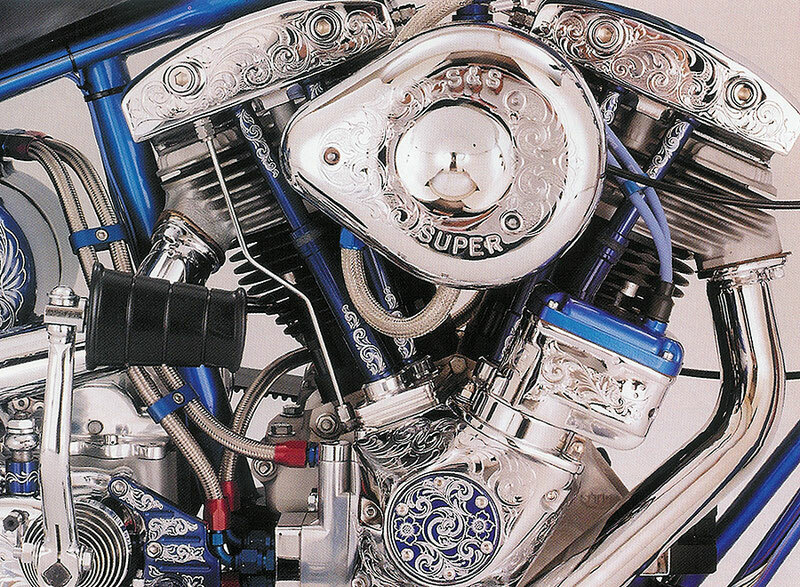 Frame is made of 4130 seamless chrome moly. 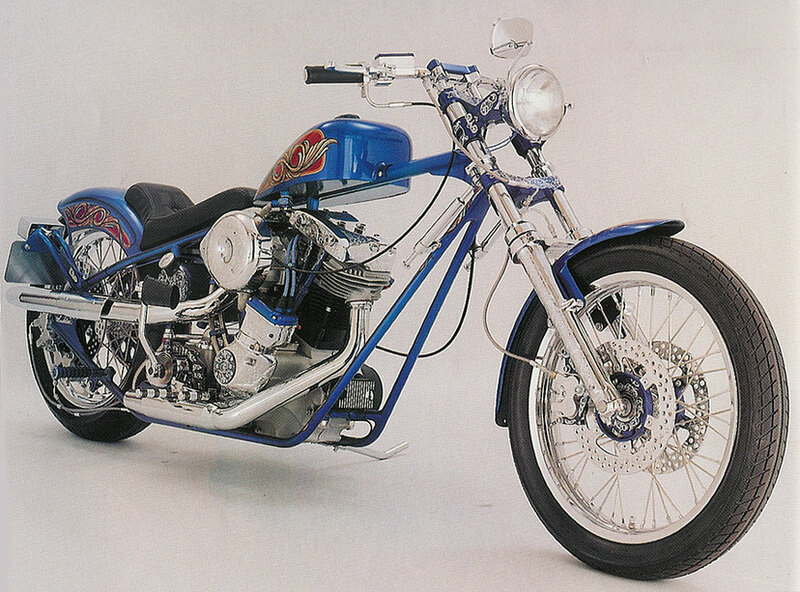 Engine (rebuilt by Ray Semko) is a 1982 Shovel with a 88"displacement. cam andrews 510.